Today I’m talking eyelash extensions! I know I’m a little slow to get on this- especially for someone who is obsessed with lashes and *was* a regular lash strip wearer (more here). But I was held back for 2 reasons: the price and honest skepticism on how long they would actually last. However, if you’ve seen my Insta or Snap stories lately, I am most definitely on the lash extension bandwagon now. But not without a lot of questioning and getting them done right (more on that later). But I know I’m not the only one with a million questions so my lash stylist, Margarita of Margarita Style, broke it down and gave me all the details..
First and foremost, if you’re planning on giving these extensions a try, make sure you go to a licensed esthetician who is certified in eyelash extensions. It can seem much easier to go to a nail salon that offers a new set of extensions for $50 than pay the big bucks for an esthetician- but do you really want to go cheap with a product close to your eyes? So once you’ve found your gal, make sure to be specific about the lashes you want. The first pair I got were amazing, but they were more of a cat eye shape- longer at the end. The second time, we both agreed to do an even length all across and it looks so much more my style. *Tip from the Pro: If you wear lash strips, bring them in so your stylist can see the shape, length, etc. that you prefer. 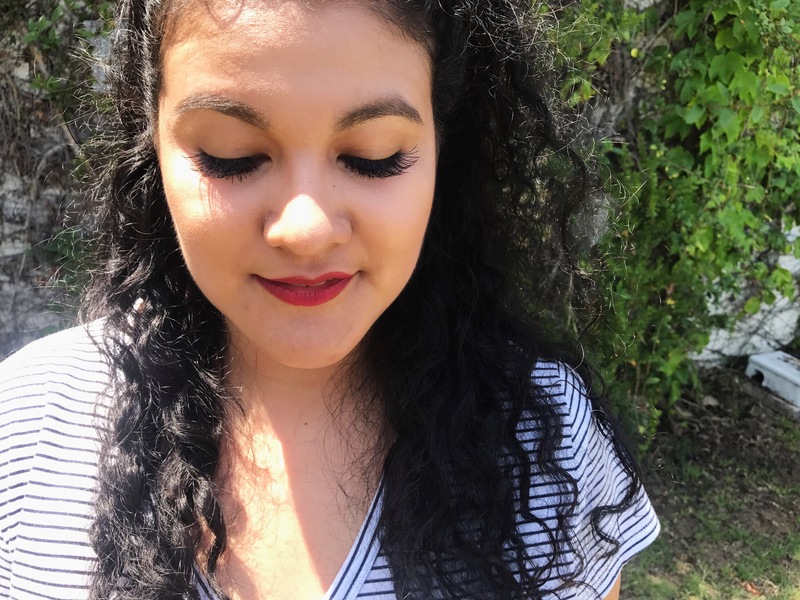 Margarita uses the Bella Lashes, and I think they’re fabulous! Lightweight, voluminous, curly- they’re perfect. When you book your appointment, know that for your first set it can take up to two hours. After that, usually an hour. It’s an extremely relaxing process- the last time I went in for a fill I literally fell asleep…oops. So aftercare. Margarita’s recommendation is to try as best you can to wait 48 hours before wetting your lashes to allow the adhesive to get a good hold. She also told me to make sure to gently brush them out everyday in the morning, night and after they get wet. This helps to keep them from getting twisted and clumping. At first, when I started brushing them and a few fell off, I panicked. But according to Margarita, we lose up to 5 natural lashes every day so it’s completely normal. So review? I’m addicted. I just love the ease of being able to wake up and have flawless lashes immediately- and especially that they don’t get wonky and pop up at the ends like strips do. I have also been making it a habit to hit the gym more, and even with the sweat and showering, they stay on. People always ask me if they’re heavy but honestly I can barely feel them. I find myself sometimes even skipping eye shadow and eyeliner because my eyes already look so put together. Avoid steaming your face or taking super steamy showers- this can loosen the adhesive as well. How many of you are already hooked on lashes? What style is your fave?